Save Up to 80% Everyday! Shop Our Online-Only Specials! Shop our Deal of the Day! 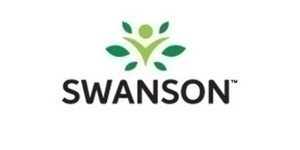 Unbeatable Daily Savings at Swanson Health! Sign up for Swanson emails and get 10% off your purchase + Free Shipping on $50! Their story began in Fargo, ND in 1969, when a man with a passion for golf was looking to lessen his joint pain. He set off on a journey into the world of natural supplements and health research, nurturing a deep commitment to wellness and life-long vitality. This commitment grew into a mission, a mission to share pure and potent health products directly with others, at a great value. And so, in 1969, Swanson Health introduced its first supplement to the world. Nearly 50 years later, Swanson Health continues to innovate science-backed vitamins and supplements, delivering wellness solutions that help people live simply healthier together.